Represented the U.S. operations of a Spanish Company in the automotive metal stamping business, in connection with its purchase of a stamping facility in South Carolina. Represented private equity firm in multi-million dollar acquisition of large fast-food restaurant franchisee and prepared an HSR premerger notification filing in connection with the transaction. Represented the majority owners of a manufacturer of digital imaging equipment in the sale of all of its membership interests. Prepared numerous HSR premerger notification filings for public medical malpractice insurer. Represented ball bearing manufacturing in sale of substantially all of the assets of one of its subsidiaries. Represented manufacturer of luxury vinyl flooring in connection with the sale of substantially all of its assets. Assisted in the disposition of certain assets of a liquidation trust, including the disposition of hundreds of acres of timberland. Represented larger supermarket chain in the sale of certain pharmacy assets out of bankruptcy. Prepared HSR premerger notification form in conjunction with in the sale of stock of a manufacturer of clothing and sportswear. Represented client in the acquisition of the membership interest of B.A.S.S., LLC (a magazine publisher and outdoor entertainment company) from ESPN Productions, Inc. Represented various nursing home clients in refinancing and/or assumption of over $150 million in HUD-insured loans. Assessed and provided opinions of data breach implications during due diligence of prospective corporate acquisitions. Represented client in acquisition of provider of on-line platform for academic skill building and standardized test preparation. April practices in Burr & Forman's Corporate and Tax practice group, representing clients in connection with a broad range of business matters, including mergers and acquisitions, financing, corporate governance, franchising, and antitrust. April has been involved in a variety of mergers and acquisitions with domestic and foreign, public and privately held clients in the manufacturing, technology, insurance, healthcare, retail and restaurant/hospitality industries. Additionally, she regularly counsels start-ups and seed companies as they seek venture funding for their company. She has worked on numerous acquisitions involving franchised concepts and advised on franchise issues pertaining to all aspects of the transaction. Her experience includes counseling both franchisors and franchisees on federal and state disclosure requirements and various state relationship laws that pertain to dealer/franchise terminations. April also regularly counsels clients on antitrust issues, including merger review and Hart-Scott-Rodino premerger notification filings, competitor collaborations and joint ventures, FTC and DOJ investigations, distribution arrangements and trade association activities, as well as advises on antitrust exemptions and immunities. 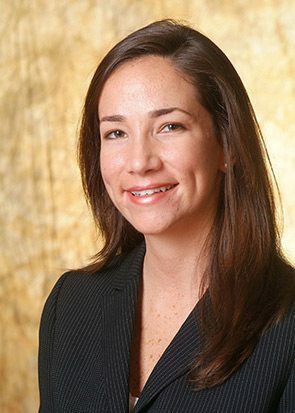 April served as corporate counsel for a sports event management and marketing company. As corporate counsel, April drafted, reviewed and negotiated various venue, sponsor and vendor contracts related to major sporting events in Alabama. She was also responsible for managing the relationship with the Alabama High School Athletic Association, which involved developing a media rights plan and negotiating broadcast agreements, as well as managing their corporate sponsorship program. Burr Alert: Buying a Corporate Jet? Talk to Us First!